It's been a long time since the last time I posted here. 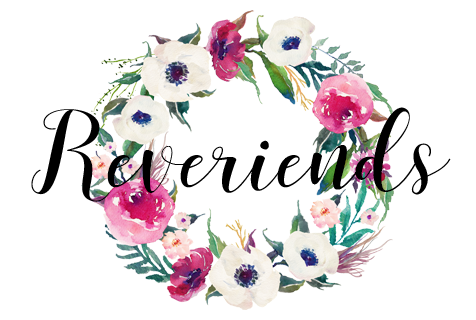 Sorry for being MIA for far too long, school has been very intense for these past few months~ I am getting my associate degree in science this year, which I'm very excited about! That is why I feel like 2018 goes by suuuper fast, I feel like it's just the beginning, but it's May already! How are you guys doing? 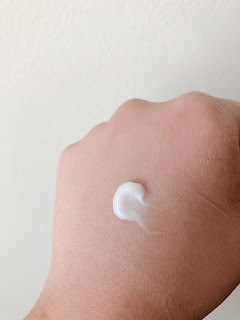 Anyway, I really excited to introduce you to one of the most luxurious moisturizer that I've ever tried. 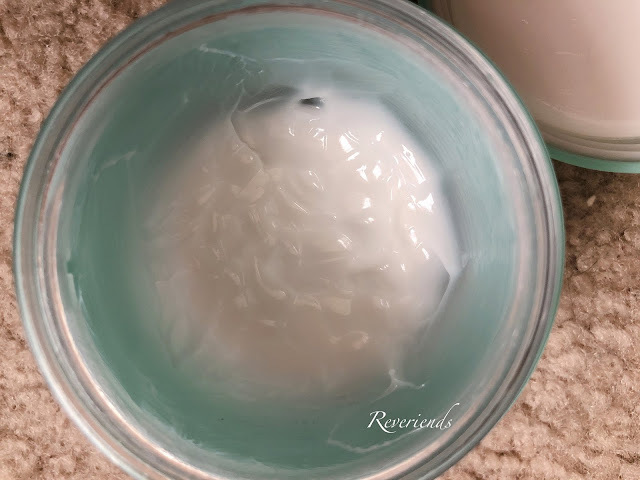 If you are looking for a moisturizer that is unlike any other moisturizer, especially if you have oily skin like me and wants to have a lightweight, but hydrating moisturizer.. then, this might be the moisturizer that you've been looking for! I've been using this moisturizer for about 3 months now, and I AM TOTALLY IN LOVE! 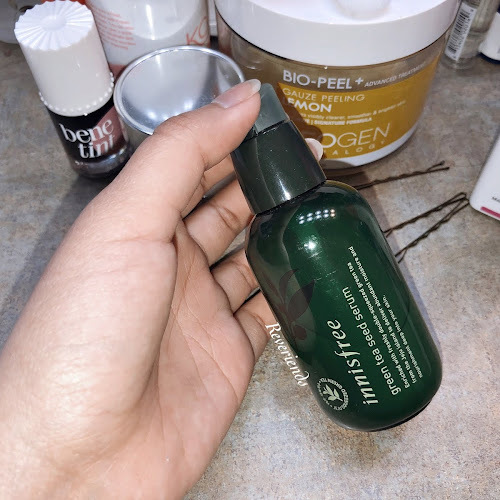 It feels very luxurious, very lightweight, but also very hydrating. It glides on smoothly on the skin, and a little goes along the way. You just need a pea sized of it, and you're good to go! It also absorbs really well into the skin, and it doesn't feel filmsy or whatsoever. In terms of the packaging, I think it's very simple yet super attractive especially with the ribbon-like ornament on the top of the lid. This moisturizer also comes with its own spatula, which you can stuck it on at the top, where you can see the ribbon-like ornament. 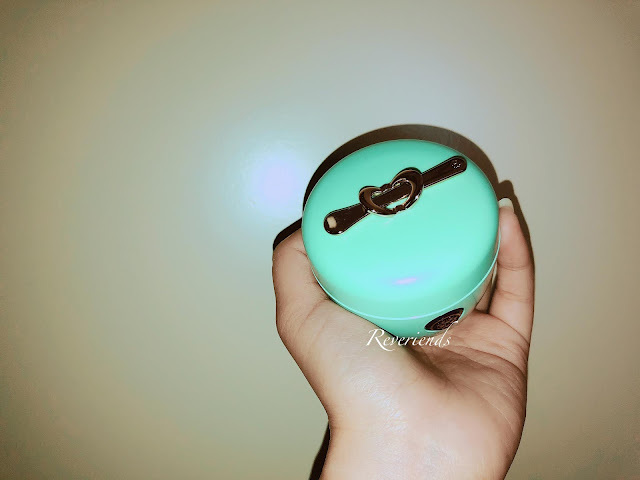 The mixture of the gold and the baby blue color of the packaging also makes the moisturizer seem very beautiful. And like what I said before, the consistency is very liquidy and lightweight. 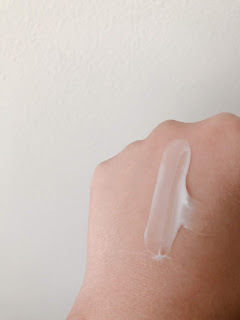 Once you swipe it on your skin, the cream will turn into a water-like consistency, which I really like and am very surprised about it. 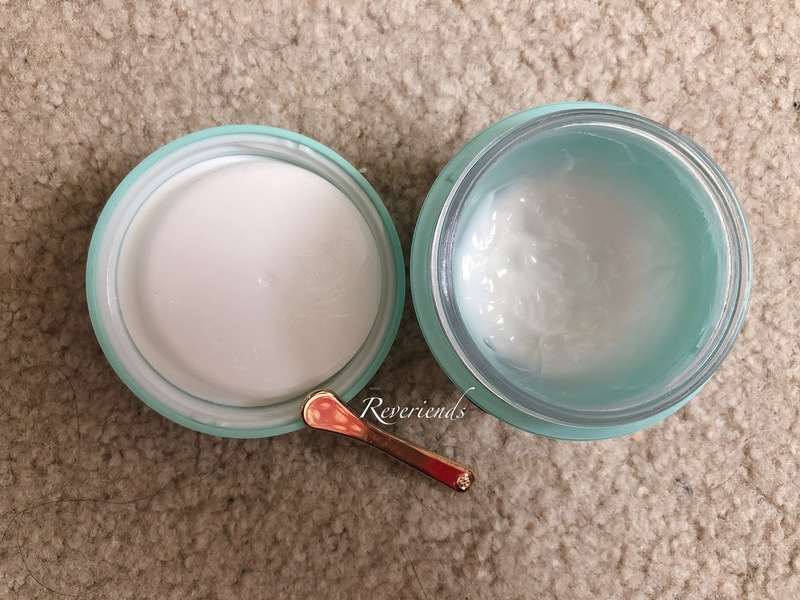 I never saw a moisturizer this lightweight. As you can see, the spatula comes in really handy. 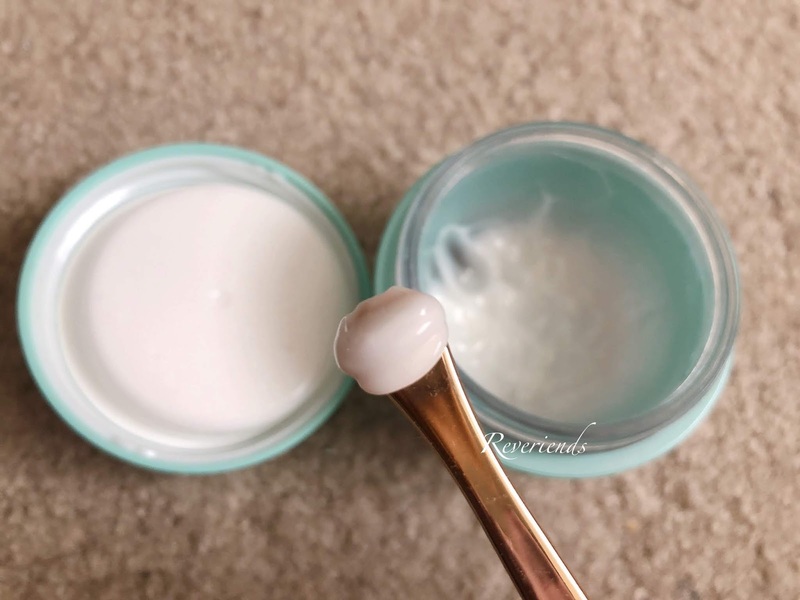 You can use the spatula to scoop the moisturizer to prevent bacteria from entering to your moisturizer. However, I'm gonna be honest with you though, I rarely use the spatula and use my finger instead! Just make sure that you clean your hand before you touch the moisturizer. Moving on to the ingredients, it claims to have Japanese Wild Rose, Japanese Leopard Lily, and also Tatcha's signature Hadasei-3. 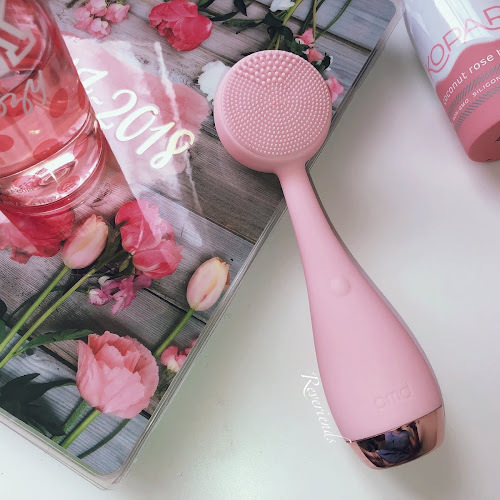 All those ingredients contribute to the balancing of the skin, improving the look of pores, reducing excess oil production, and of course soothing the skin to achieve a more balanced and healthy looking skin. Just by looking at those 3 ingredients, aren't you already sold?! I mean, the claim looks very promising! And looking further on the ingredients, this moisturizer also contains glycerin, sodium hyaluronate, and also titanium dioxide, which is a plus point for this moisturizer. Glycerin is very good for the skin because it attracts moisture to your skin, making the skin to stay hydrated. Sodium hyaluronate is the salt form of hyaluronic acid and is also a water-binding ingredient that will help to replenish your skin by absorbing water very well onto the skin. 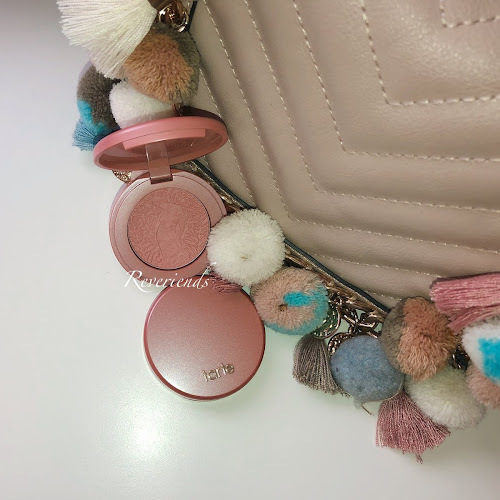 Also, the addition of titanium dioxide in the ingredients is a bonus point because it is a physical sunscreen that will help to protect your skin against UV light by reflecting it. 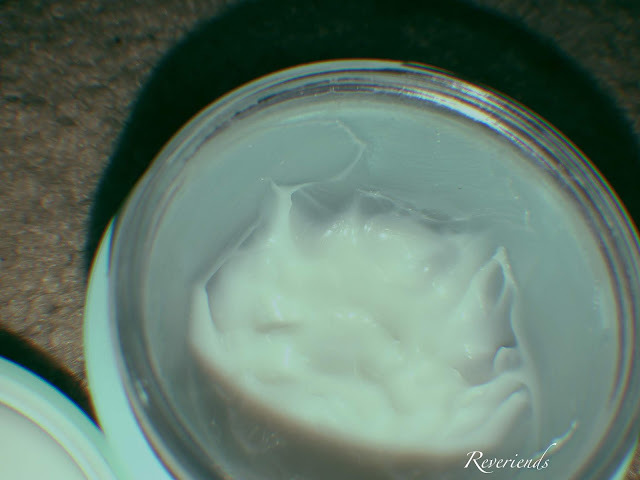 So, what do you guys think about this moisturizer? 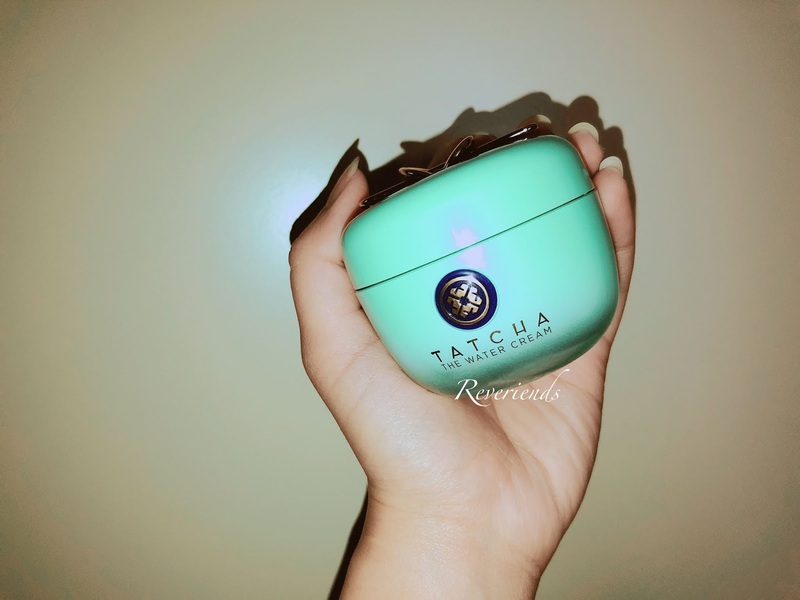 Have you guys tried any products from Tatcha?